Melanomas are always removed. This is called excision. When the melanoma (also called a lesion) is removed, it is sent away for testing. 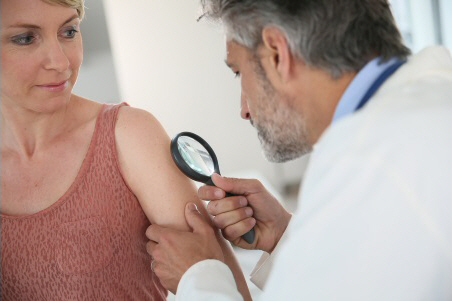 Many GPs are specially trained to remove skin lesions, so your own doctor might be able to do the excision. If your doctor is not trained in removing skin lesions, or thinks your lesion is more complicated, they might refer you to another doctor who specialises in this procedure. If the excision confirms a melanoma then you are likely to be referred to a plastic surgeon. They remove more tissue around the melanoma – this is called a wide local excision. The Melanoma Foundation website has more information about excisions and treatment. The cost of excision varies between doctors, and with the type and size of the lesion. You may be eligible for a subsidy to help you pay for the excision. Talk to your general practice team about this. If your melanoma is more complicated, your GP will refer you to the Christchurch Hospital Plastic Surgery Outpatients Department to discuss any further treatment you might need. You are likely to need an area of tissue around the melanoma removed – this is called a wide local excision. Removing a larger amount of normal skin around the melanoma reduces the chances of it coming back. The size and type of excision you need depends on what type of melanoma you have, where it is, and how deep it has grown. There are different ways to surgically treat melanoma. You will need to talk to your plastic surgeon about the best way to remove yours. You may want to ask them to show you on a diagram how they will do the surgery, and what scars they expect. Melanomas are usually removed under local anaesthetic injection, which numbs the area that will be operated on. However, sometimes a general anaesthetic is needed, which puts you to sleep. A few people need more complicated reconstructive surgery as part of their cancer treatment. Your procedure or operation will be carried out by a member of the plastic surgery team, supervised by a plastic surgeon, either at Minor Surgery at Burwood Hospital or the Christchurch Hospital Plastic Surgery Outpatient Department. If your melanoma is large or spreading across the skin then your surgeon may need to cut out a larger amount of skin. If the remaining skin cannot be pulled together and stitched then you may need a skin graft – taking skin from another part of your body to put over where the melanoma has been removed from. You can read more about skin grafts. Written by HealthInfo clinical advisers. Endorsed by clinical directors, Plastic Surgery and Dermatology, Canterbury DHB. Last reviewed September 2016. Royal Australasian College of Surgeons. Melanoma surgery – a guide for patients. 1st edition. 100700 Mi-tec Medical Publishing.